Posted on October 3, 2011 at 6:00 am. “The series focuses on Eiri Kurahashi, a college art student who works in an antique shop. One day, he sees the image of a girl in an antique glass. To his shock, she appears to be moving and living out her life before his eyes. He becomes infatuated with the girl, and one night at midnight, he somehow makes contact with her. He learns that her name is Cossette, and that she was an aristocrat’s daughter during the 18th century. She reveals to him that her spirit has been entrapped within the glass because the artist Marcello Orlando murdered her. She tells Eiri that, in order to set her free, a man must be willing to take upon himself punishment for the sins Marcello committed. Being the dark psychological anime lover that I am, I somehow found this Gothic and mysterious picture of a blonde girl. Struck by the dark atmosphere of the picture, I instantly made a search for the anime. 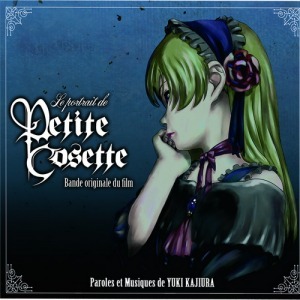 The three 36 minutes long OVA, “Cossette no Shouzou”, better known as “Le Portraite de Petite Cossette”, was what I found. Yes, the official name is french and it’s (from my very limited knowledge of french and it’s grammar) very much grammatically correct but no, this is an authentic Japanese anime in no way associated with french novels or whatsoever. Le Portraite de Petite Cossette came as a complete surprise to me. The dark, yet comforting atmosphere in the beginning gives you a sense of comfort and security while suddenly, it will plunge you into a sense of fear and be-wilderness. The plot was uniquely structured and the characters keeps you guessing until the very end. The visuals are absolutely stunning for an anime made in 2004, and the color contrasts are to die for. The tension that fills you whilst watching are definitely something no one will regret when watching. This series is rated R-17 for violence and profanity. Watch at your own risk.